The two-inch-long pendant consists of a sterling silver circlet of eight iolite cabochons, from which are suspended a vintage rose bicone and a glorious iolite faceted oval set in sterling silver. 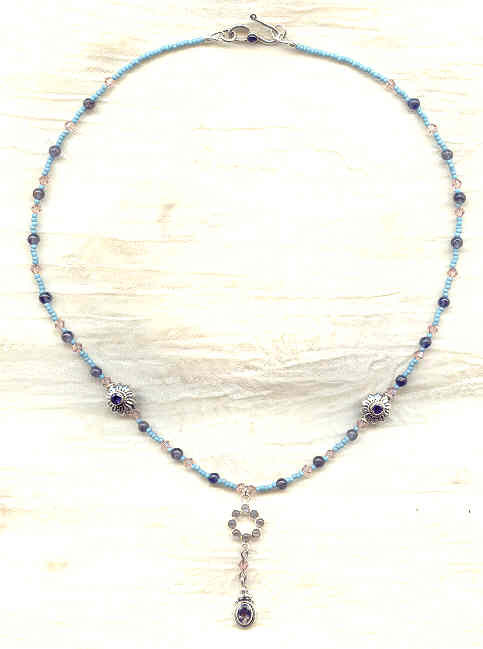 The 19 inch strand features 4mm Swarovski vintage rose bicones and round iolite beads, spaced by opaque turquoise glass seed beads. 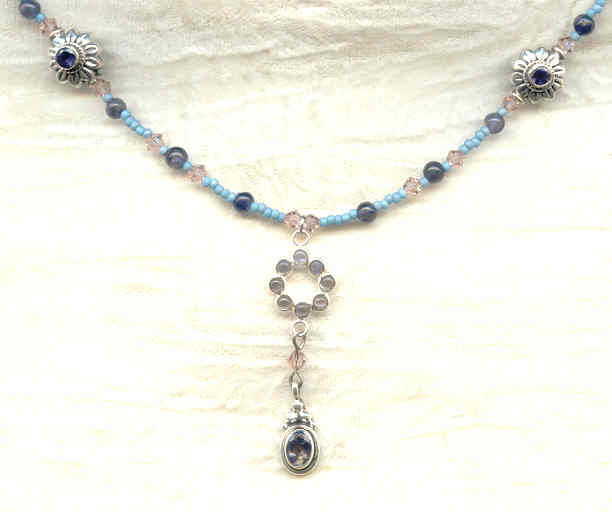 Two inches on either side of the pendant are deeply dimensional sterling silver beads set on both sides with faceted iolite. The clasp is a sterling silver ?S?-hook, set with an iolite cabochon. Those who know iolite in all its smokey violet-blue splendour don?t wonder why it is sometimes known as ?water sapphire.? The only wonder here is that THIS quality piece doesn?t cost more!